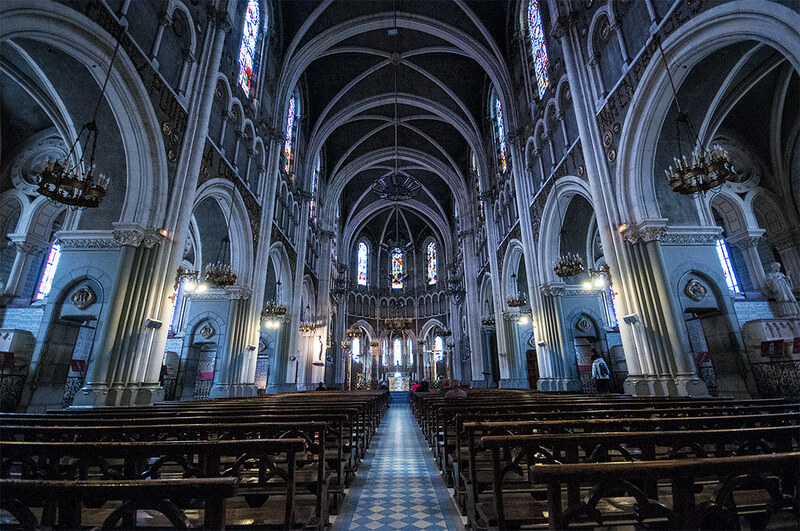 The editor has observed that the upper Basilica in Lourdes sits empty throughout a Sunday, like a museum, while throngs are scheduled to gather elsewhere. This Sunday, February 11, will be the 160th anniversary of the first of the 18 apparitions of the Blessed Virgin Mary to St. Bernadette in 1858. “My children, when I take a look at your earth, on your mortal homes, My eyes get wet with tears. “Henceforth My hour is not far distant. “My Mercy is so embracing, in behalf of My true friends, that I cannot express its broadness to you; but also My Justice is so terrifying that, were I to develop just a spark of it, I would cause you an incurable pain. “My children, do not be afraid. Henceforth I can await no more. “The more I do for My people’s sake, the more they offend Me and cause Me to suffer. Never will there be any peace, union, charity, and happiness, until My Justice will have come down on earth. Everything is despised everywhere: My love, My bounty, My Cross, My Tabernacle. “My people seem to return to unbelief… What tears My Divine Heart apart is the war waged against My Holy Temple in which I take My abode to comfort and strengthen souls. “My children, it is not only a war, it is a frightening fierceness. The mind of the most part of men is rotten, corrupt to the last fiber. --It is all too true, my Jesus. “Religion is growing weaker day by day. Soon it will be deserted almost throughout the whole earth; but it will rule in isolated souls, prosecuted, cruelly struck without mercy. “Soon, over large stretches of this land of the dead, no shrine will be left. The apostles will have taken to flight. The saintly souls will shed tears over the ruins and the abandonments. The road which is being opened will lead to that condition, within a short time… See how much I am offended, how much I am insulted. “Oh! shortly, oh earth of My creation, oh! soon, how many lifeless victims are you going to number! Pretty soon, land of My creation, you will be wearing a shivering ornament: the blood of the Apostles and of the Christians who persevered in faith! --I see the Lord’s hand lifted up and surrounded with a broad thundering lightning. That lightning is so fiery that we must expect it to happen any day, and make ready for it. [Source: pp. 67-69, Prophecies of La Fraudais]. God made us to know Him, to love Him, to serve Him, and to be with Him for all eternity. This is what the catechism teaches. God delights in us, and wants us with Him. This rejection of God and His Church is damnable, due to God’s Justice, but His Just Punishment is not something in which God’s Mercy finds delight. And just as God is hated, so are we who love Him and His Church. God reminds Marie-Julie that He takes His “abode [in the Holy Catholic Church] [so as] to comfort and strengthen souls.” And the devil, knowing this, influences people to destroy the Church. This warring against God is diabolical, certainly, because it rejects God and because it seeks to damn souls (both the perpetrators and the victims). Yes, the false church with its false papacy is the place where true religion has been deserted. There, in the church buildings around the world, lies the “land of the dead” where rejection of God, rather than prayer to God is heard; therefore, “no shrine [is] left” in the false churches because religion has been destroyed there. What an honor for us, who are not worthy of anything from our own efforts except our own damnation due to our sins. But God sees that in loving Him, we are willing to suffer anything for Him, His Vicar and His Church, and so He considers us His just ones. In this way, we are to understand that these Chastisements are to bring to us what we have lost: the chance to praise God openly as we live on this earth which He has provided for us from His Bounty. God does it all for us! Deo gratias!